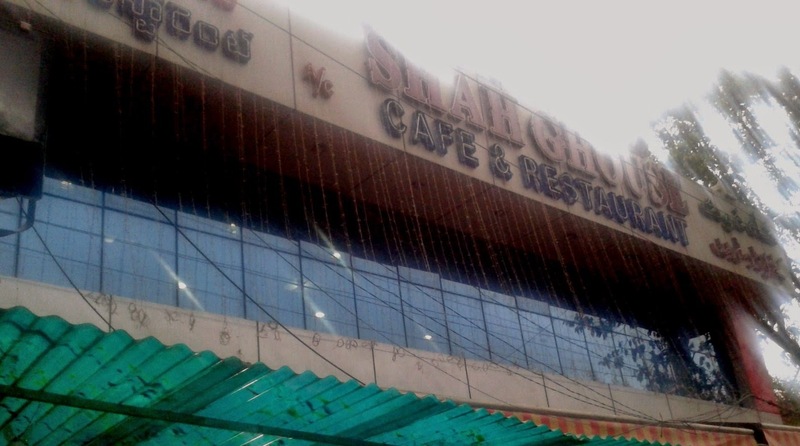 Shah Ghouse is the favorite haleem destination of many Hyderabadis. 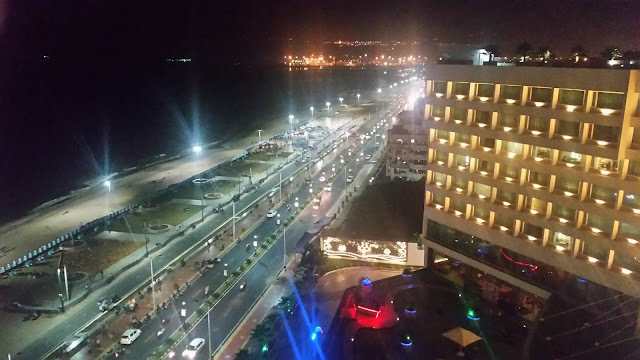 In the last few years this place has carved out a name for itself for both biryani and haleem, and to cater to the ever increasing demand, the restaurant has branched out from their original outlet at Shalibanda to Toli Chowki and now at Raidurgam. 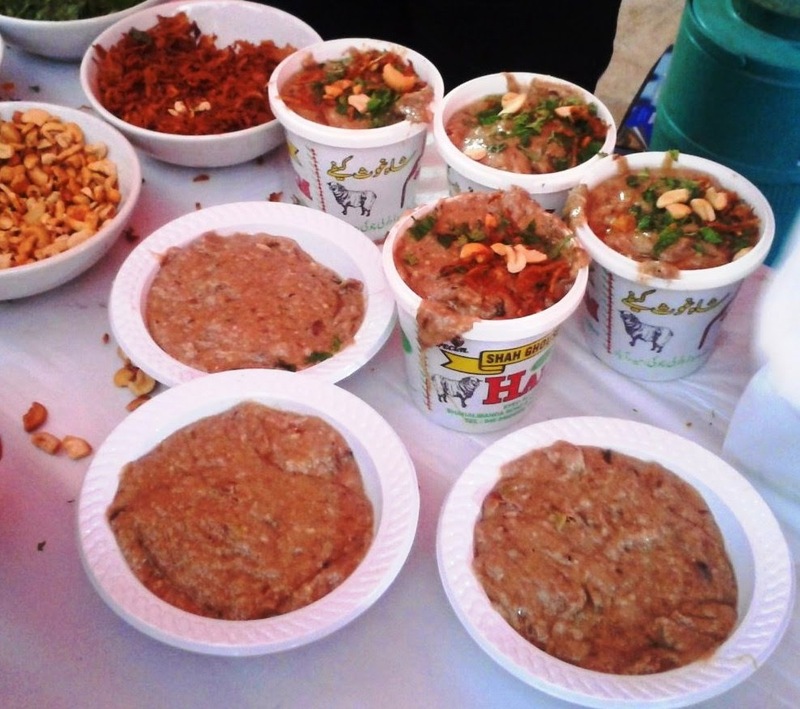 Their haleem has been winning awards at the popular contests in the city. 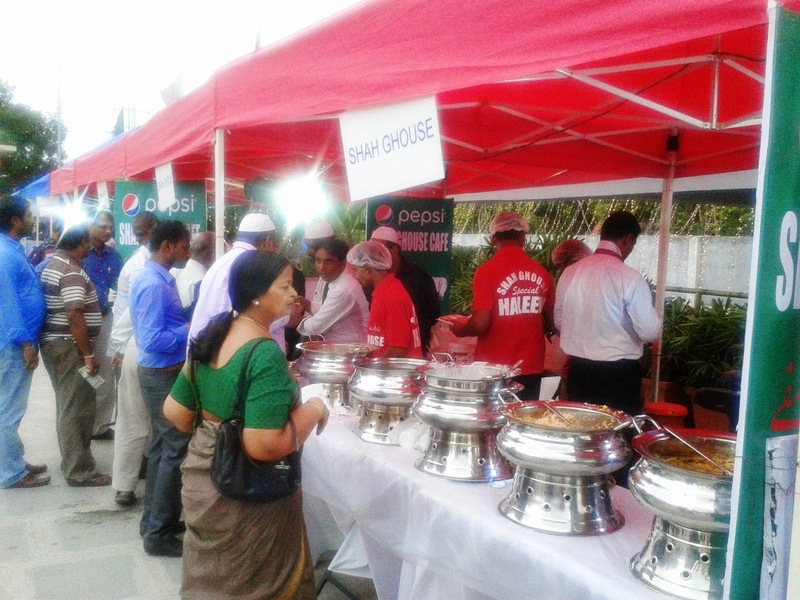 Shah Ghouse had put up a stall at the Telangana Haleem Festival, Shilparamam. There was a long queue in front of their stall. Haleem was being sold at Rs 120 a plate. The haleem here was spicy but not as spicy as Café 555, another popular place. It had lot of cashews in it and the meat was tender. The ratio of meat was good, but too many small bones were the irritants. I do not understand why the haleem makers, at least the famous ones, do not have a boneless version at a higher price. Only Green Park seems to be serving boneless haleem. 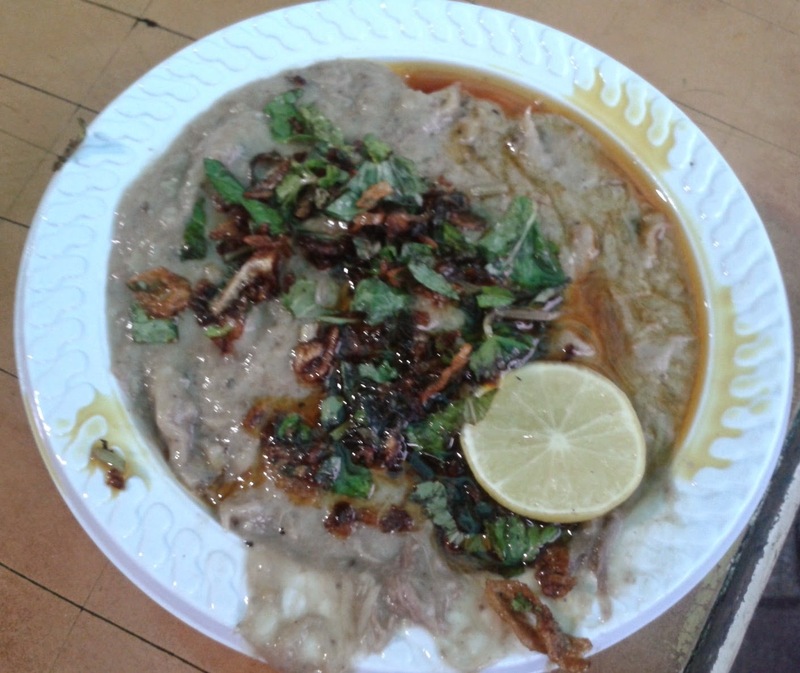 Overall, except for the bones, I liked the taste of the haleem. My second opportunity came when we were in Toli Chowki at the Shah Ghouse outlet. It was past iftar time and the restaurant was buzzing with people. A plate of fresh haleem was handed over. 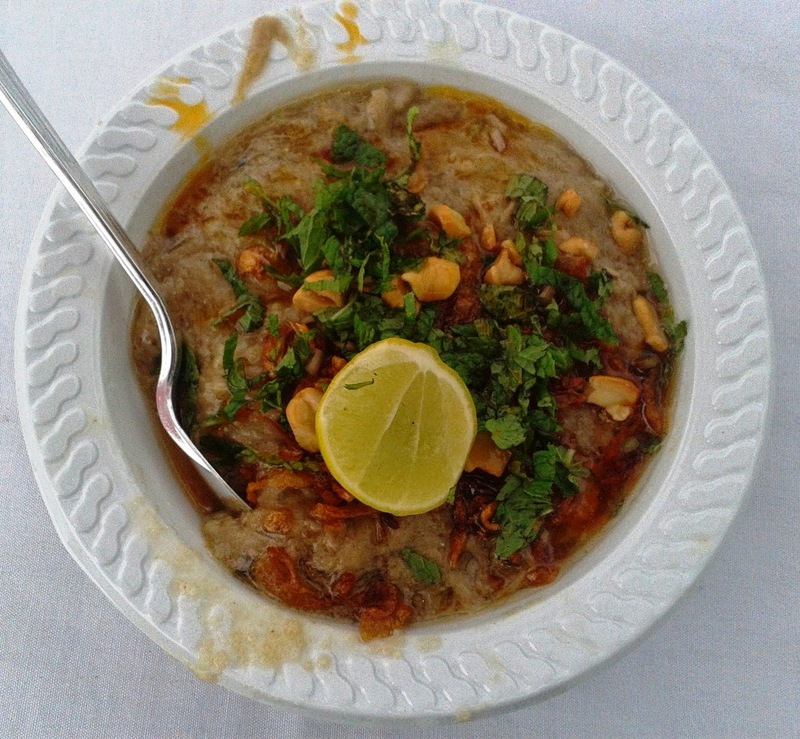 The haleem looked a bit bland, and the sherwa in it was less compared to the previous time. 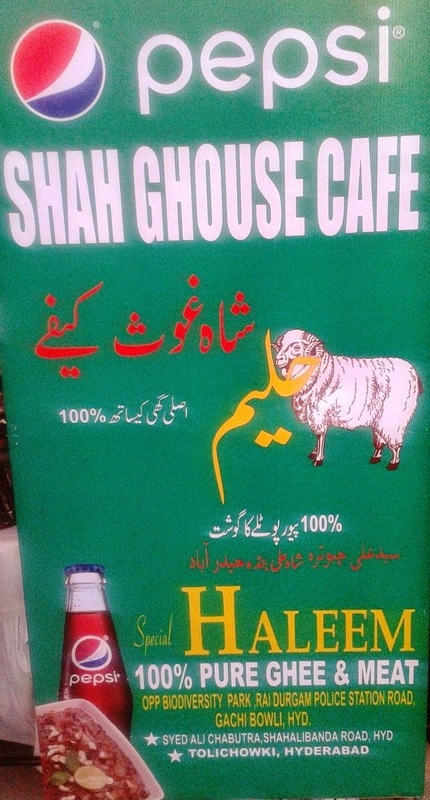 I was happy to note that the taste of haleem here was consistent. It tasted very similar to the one I had in the festival. The soft meat and wheat had blended well and the spices and ghee had provided a nice aroma to the mixture. Only difference was that though there were too many bones again, and now the bones were pretty big, thus cutting down on the amount of haleem in the plate. That was quite a dampener for me. 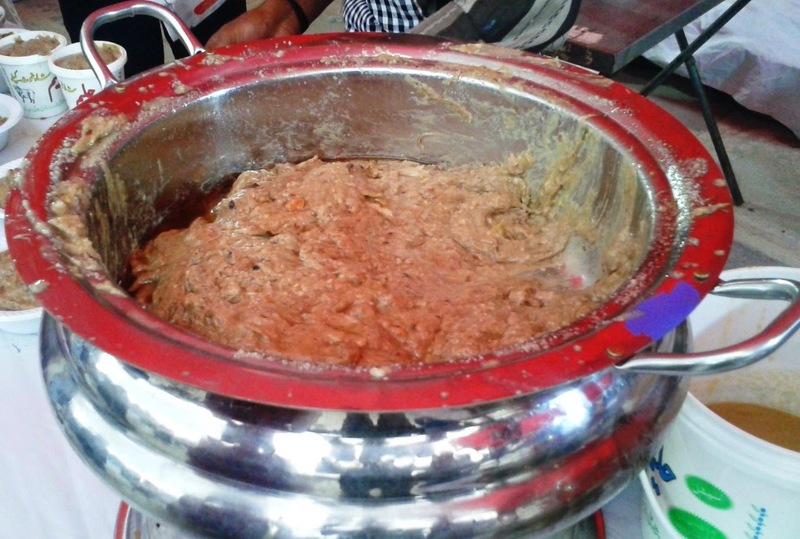 A family pack of haleem here is Rs 450 and it can feed 5 people as per the person in the counter. Location: Shah Ghouse has three outlets in the city – Shah Ali Banda, Tolichowki (opp Yousuf Tekdi food court) and Raidurgam.